Lightning strikes are far more common than many people realise and, with the changes in the global climate and weather patterns, they are on the increase. The Asia Pacific region is at particular risk because, according to a joint NASA and National Space Development Agency of Japan study, approximately 70 percent of lightning occurs on land in the tropics, where the majority of thunderstorms occur. Lightning seems to most often make the headlines when it causes the death or injury of someone tragically unfortunate enough to be the victim of a cloud-to-ground strike, or when a lightning strike triggers a bushfire or wildfire. Fortunately, deaths from lightning strikes are comparatively rare – the global figure quoted by most experts is between 40 and 50 a year – but strikes causing bushfires and wildfires are much more common in the region. For example, recently in one night South Australia experienced around 50,000 lightning strikes, the majority occurring in a three-hour period, starting more than 250 fires. In reality, there is a limited amount that can be done to protect individuals, other than their following prescribed safety precautions during a thunder storm, and little that can be implemented to protect the countryside from lightning strikes. 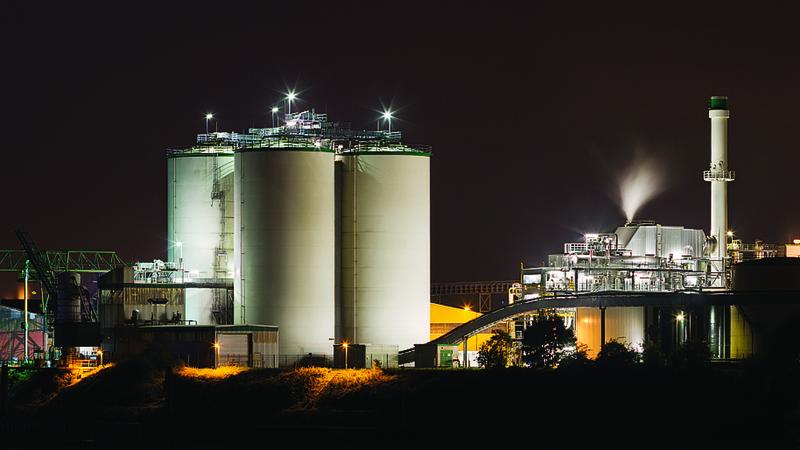 However, one area where lightning protection can be effective is in the industrial sector, safeguarding high-risk, high-value or high-fire-load facilities such as: petrochemical refineries, tank farms and off-shore platforms; mining operations; utilities such as electricity switch yards, substations and generating plants; data centres, telecommunications facilities and IT centres; and transport hubs, including airports and wharfs. But how real is the challenge? A review of petroleum storage tank fires between 1951 and 2003 found that there was an average of between 15 and 20 fires every year, with about one-third caused by lightning. Another study undertaken on behalf of a number of oil industry companies found that: “lightning is the most common source of ignition” in 52 of 55 rim seal fires studied. Significantly, this research was undertaken some years ago; the reality is that there are now more tanks than in 2003, and likely more fires. Aside from the incidence of petrochemical storage tank fires, another factor that needs to be considered is the impact of a fire. It is the age-old fire safety conundrum – an equation that considers the likelihood of a fire against the consequences if one does occur. The impact can be catastrophic. Lightning is an explosive, rapid event that releases huge amounts of energy in just a few milliseconds with an unpredictable path. A single strike of lightning releases up to 500 million volts and a temperature of around 27,000°C – three times hotter than the surface of the Sun. Such an explosion could cause millions of dollars of damage to the tank facility and the loss of the stored product. If a strike terminates on or even near a floating roof tank for example, the current will flow in all directions and will vary in proportion to the lowest path of impedance. One unexpected arc across the roof-shell interface could ignite the fumes that are almost always present and as a consequence put that tank and an entire facility in immediate danger. Australia’s Northern Territory is one of the most lightning-prone areas on earth, but other parts of the country are increasingly experiencing lightning storms. Just two years ago, more than 173,000 lightning strikes hit South Australia’s electricity network in a 24-hour period. Elsewhere around the world lightning has resulted in airports being brought to a standstill, television and radio broadcasts going off-air, and commercial operations paralysed. 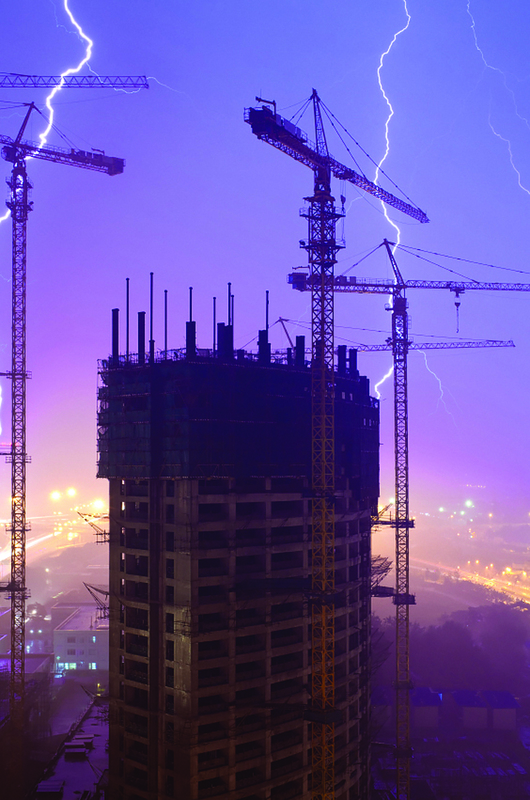 There are three aspects of lightning protection that should be considered, depending on the precise nature of the asset being protected. Generally, these can be classified as: lightning protection; grounding/earthing; and surge protection. Traditionally, lightning rods and early streamer emission (ESE) technology were used for lightning protection, but these devices have been increasingly superseded in the past couple of decades. Both lightning rods and ESEs rely on collecting a strike and, effectively, inviting it into the facility being protected, whereas the most recent technology products actually deter the strike from forming within the area being protected and so avoid the risk altogether. Grounding/earthing is critical for personal safety, sustainability and uninterrupted operations; proper grounding serves as the foundation for a complete lightning protection solution, reducing risk and optimising performance. Surge protection safeguards sensitive electronics from lightning that can easily damage or destroy sensitive electronics. Lightning is an electric discharge by which nature attempt to equalise the voltage between storm clouds and the earth and, in order for lightning to strike, it must connect. The difference in polarity between the bottom of the cloud and the ground is the charge differential. When this charge differential is high, the cloud begins to form downward leaders, and objects on the ground begin to form upward streamers. When a leader then connects with a streamer, the lightning is given the path it needs to exchange the charge between the earth and the cloud. This reduces the charge differential to upward streamers, which reach up from earth-bound objects when the electrical field is strong enough. The latest technology based on Charge Transfer Technology (CTS) from USA-based Lightning Eliminators & Consultants Inc. is called the Dissipation Array System (DAS), which interrupts the formation of these upward streamers through point discharge, a phenomenon where a well-grounded point exchanges ions between the air and the ground. Point discharge becomes more efficient when the points are connected to a low-impedance grounding system, and more ions can be transferred with a greater number of points. The DAS technology takes advantage of these principles with an optimal point configuration able to interrupt the formation of upward streamers, thereby preventing direct strikes. Working with grounding and surge suppression to achieve complete protection, a typical system includes: the Dissipation Array; a low-impedance grounding system using chemically-charged electrodes; a Transient Voltage Surge Suppression (TVSS) to protect against transients traveling through data lines and other conductive paths; and modular strike prevention devices to supplement the Dissipation Array’s area of protection. Dissipation Arrays are available in a range of configurations for almost any structure, including: a hemisphere array for industrial or commercial structures, including poles, buildings, and towers; a parapet array for commercial or industrial flat roof buildings with a parapet around the edge; a conic array for cone-roof and dome-roof petrochemical and flammable storage tanks; and a paragon array for use on transmission and distribution lines. Other designs include arrays for flat roofed buildings, floating tank rims, smoke/exhaust stacks, and industrial and commercial structures with guy ropes. In fact, the DAS can be configured for virtually any application. This article focuses on lightning protection and grounding/earthing. The latest technology for providing floating tank protection has already notched-up in excess of 5,000 installations in over 80 countries around the world. Basically, LEC’s Retractable Grounding Assembly (RGA) equipment is a retractable conductor wound onto a spring-loaded reel – which is mounted directly on the tank wall or a suitably positioned mounting bracket – that is designed to electrically bond the floating roof and shell on floating roof storage tanks. This provides the lowest impedance connection between the roof and the shell of a floating roof tank, particularly when the roof is high, by creating the shortest possible path between the two. The connection is maintained by keeping constant tension on the wide tinned-copper-braided cable so it is, unlike conventional fixed-length bypass conductors, always as short as possible regardless of the position of the floating roof. Significantly, the RGA solution requires little regular testing, inspection or maintenance other than visual inspection of all moving parts, the removal of dirt and debris, lubrication of the bearings, and the tightening of all mechanical fixings. The ATEX certified equipment is CE Ex II 2 G T4 certified, signifying its compliance with the requirements of Directive 94/9/EC involving potentially explosive atmospheres. 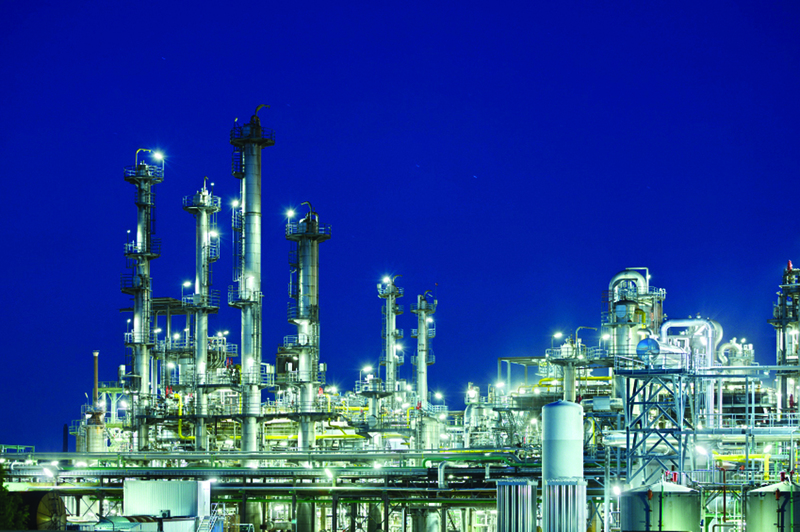 It is also meets the requirements of the American Petroleum Institutes’ API RP 545 (Lightning Protection of Aboveground Storage Tanks for Flammable or Combustible Liquids). As has been shown by two recently completed projects in Australia, the system can be installed in both new-build or retro-fitted to existing tanks. Coogee Chemicals, which manufactures a range of chemicals at its plant in Kwinana Beach, north of Rockingham, and oil and gas exploration and production company, Apache Energy, which has processing facilities on Varanus Island, have both installed RGA grounding/earthing equipment.